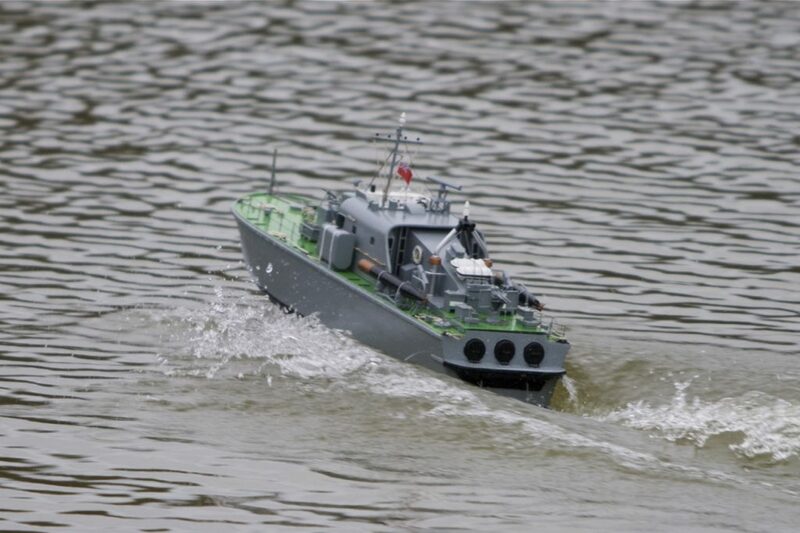 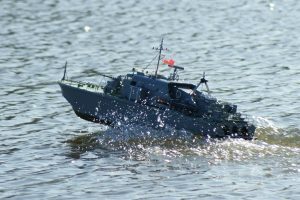 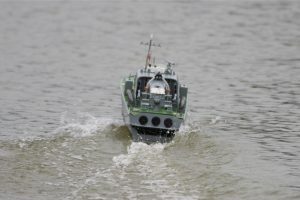 Perkasa Fast Patrol Boat; Model: Steve French. 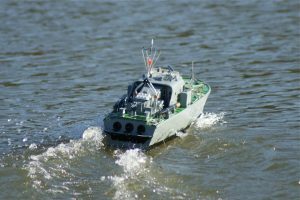 A “Perkasa type” fast patrol boat; model: Steve French. 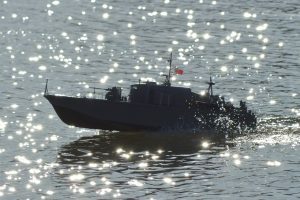 The Perkasa Class were built for the Royal Malaysian Navy (P150 was the “Perkasa” and all commissioned ships of the RMN have a prefix KD, which means Royal Ship: Kapal Diraja). 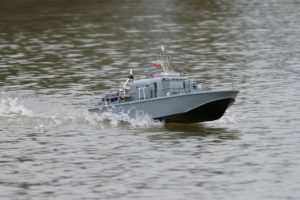 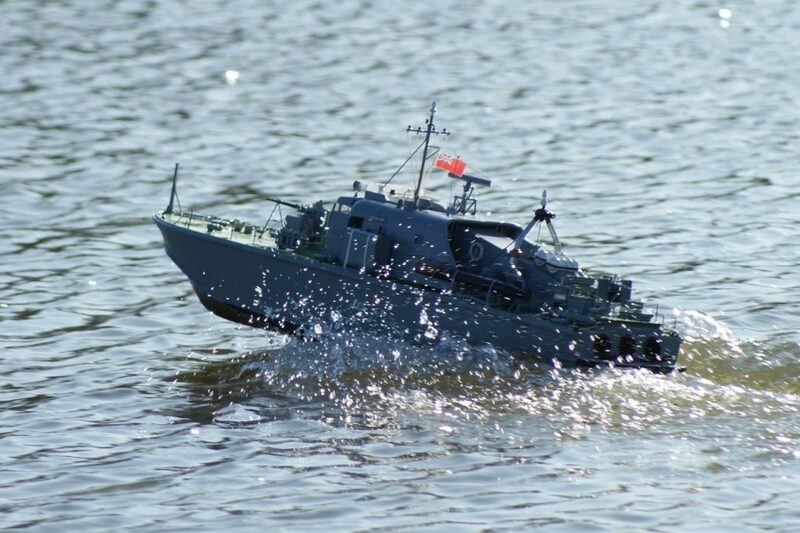 They were based on the Brave Class Patrol boats designed and built for the British Admiralty in 1954-59. They had three Rolls Royce Marine Proteus gas turbines as their main power plant, driving through reverse/reduction vee-drive gearboxes to fully-cavitating propellers. 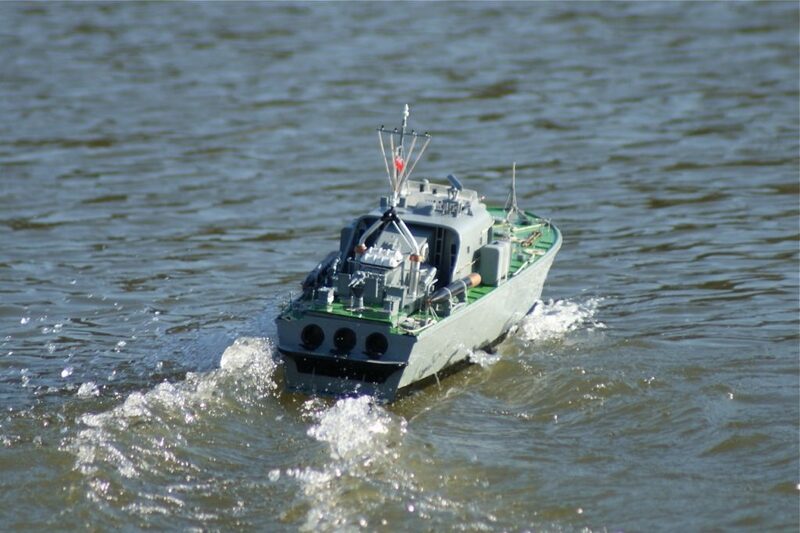 They were the first warships in the world to be fitted with these engines, they have maximum speed between 50 and 60 knots. 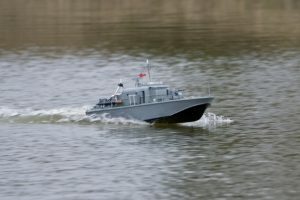 Most have diesel auxiliary engines for cruising and manoeuvring. 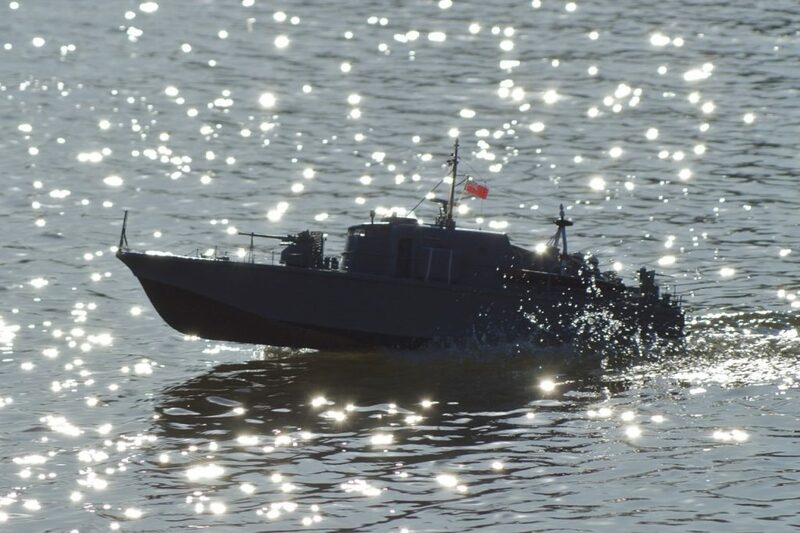 They are hard-chine, planing boats, 96 ft. in length. 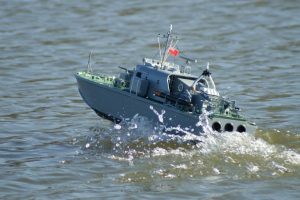 The armament generally consists of two 40 mm L.60 Bofors guns and four 21-in torpedoes carried in side-launching chutes.